This post is being written as a result of a question I received from a subscriber. Thanks, Jennifer, for asking the question. Jennifer said she had read my previous posts about Amember, and wondered what has changed since then, if anything. Amember is what I use for my shopping cart and affiliate program. If you are wondering why you need a shopping cart, part of the reason is to prevent theft of your products by people who have not paid for them. So to answer Jennifer’s question….I continue to use Amember Pro 4 and I like it more and more all the time. Here is what else I have discovered about it. With Amember Pro, you can upload product files and/or folders to your host’s server. However, it is a better idea to upload your products to Amazon S3. Amazon S3 is so inexpensive (literally pennies a month) to host your products. Even better is that Amember integrates with your Amazon S3 account, making it easy to link the products you have uploaded to S3 to your Amember Pro shopping cart. Amember support is open weekdays Monday-Friday. They are on the other side of the world from me (I’m in Canada), so I keep this in mind when submitting tickets to them. However, I have found that when I contact them with a question, I hear back from them the next time they are in the office. I have also found that they are open to suggestions on ways to make Amember even better. This is something I have yet to fix on the backend of my Affiliate center, but I know that other people who use Amember Pro have already done so. For over a year, if not more now, Amember allows you to categorize the links for your affiliates. This means that it makes it easier for affiliates to find the link they want easily and more quickly. In earlier versions of Amember, you had to scroll through a huge list of links. I know Amember integrates with other platforms, but I can only speak about what I use and that is JVZoo. 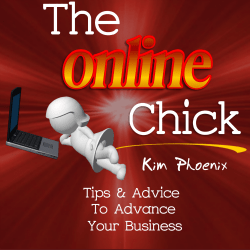 In order to allow more people to find out about my PLR products, I have listed a few of them on JVZoo. Amember and JVZoo can be integrated so that the products are delivered securely by Amember, ensuring that only people who have purchased the products on JVZoo, get access to the download links. This is important to prevent theft of your products by those who have not purchased them. I have always known this, and I do not offer a membership at this time, however Amember Pro also offers you the ability to do this. You can easily add teaching videos into the backend of your membership, and set it up so that only people who have purchased the membership, get access to those videos. In other to understand what I mean by this, it’s simplest to look at one of my order forms here. You will see that there is now a “Click Here for More Products” dropdown box. In older versions, the dropdown box did not exist. It used to be a long list of all the other products, if you chose to include them. The advantage of having the dropdown box now is it’s cleaner in appearance, and it allows a customer to view other products that may be of interest to them before he/she completes the checkout process. Although I never did this, I think I should have done what I’m going to describe. If you have more than one website that offers different kinds of products, you could purchase one Amember Pro license (it’s allowed), and run all your product sales through one domain name. For example, I sell PLR products, but I also have some non-PLR products for sale. It can be very confusing for customers if I place all of those products for sale on the same website, therefore it’s best to have them listed on separate websites, and then redirect them to the shopping cart checkout that is located on a generic domain. Instead, when I purchased my Amember software, I set up my license on my PLR site domain. So it can be confusing if I sell a non-PLR product on another site, and then the cart for checkout redirects to my PLR site domain. Amember told me I could still make the change, but I decided not to as it would mean that it would negatively impact my affiliates who have been linked to particular customers. When I purchased Amember Pro Version 4 about three years ago, there was little documentation on how to set up Amember. The documentation is now up, but unfortunately, sometimes it’s clear as mud. 🙂 I have a pretty good handle on Amember now, but a couple of my online friends (Kelly and Lynette) came out with a video training course on how to set up and use Amember. I wish that course had been around when I purchased the earliest version of Amember Pro 4. It would have decreased my learning curve a lot! I have purchased their course too though as I wanted to tweak some things within Amember. The course is broken up into a number of short videos (usually no longer than 5 minutes) and comes with a checklist so that you can keep track of each video that you have watched. More information on the course can be found here. But first, you need to start out with Amember, and you can get that here. As you can tell, I like Amember. It offers my customers and I everything that I need. For my customers, they always have access to their purchases by simply logging in to the Customer Login area, even if it’s years after they purchase. In other words, the download links never expire. For me, it offers a shopping cart and secure download links to prevent theft, and it also has a built-in affiliate center so that affiliates can promote my products and earn themselves commissions.